S:I.M.O.N. 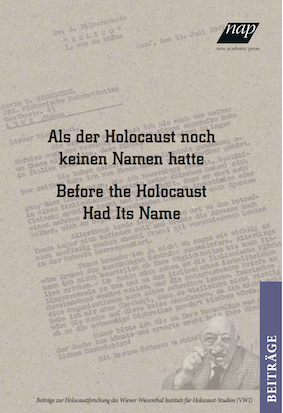 is an e-journal of the Vienna Wiesenthal Institute for Holocaust Studies (VWI). It appears twice a year in English and German language. S:I.M.O.N. 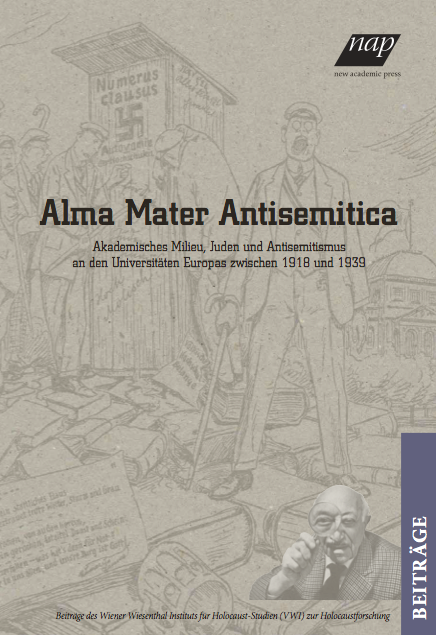 aims at both a transnational and comparative history of the Holocaust and Jewish Studies in Central and Eastern Europe within the broader contexts of the European history of the 20th and 21st century, including its prehistory, consequences and legacies as well as the history of memory. S:I.M.O.N. serves as a forum for discussion of various methodological approaches. The journal especially wishes to strengthen the exchange between researchers from different scientific communities and to integrate both the Jewish history and the history of the Holocaust into the different “national” narratives. 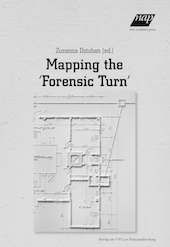 It also lays a special emphasis on memory studies and the analysis of politics of memory. S:I.M.O.N. uses a double-blind review system, which means that both the reviewer’s and the author’s identities are concealed from each other hroughout the review process. 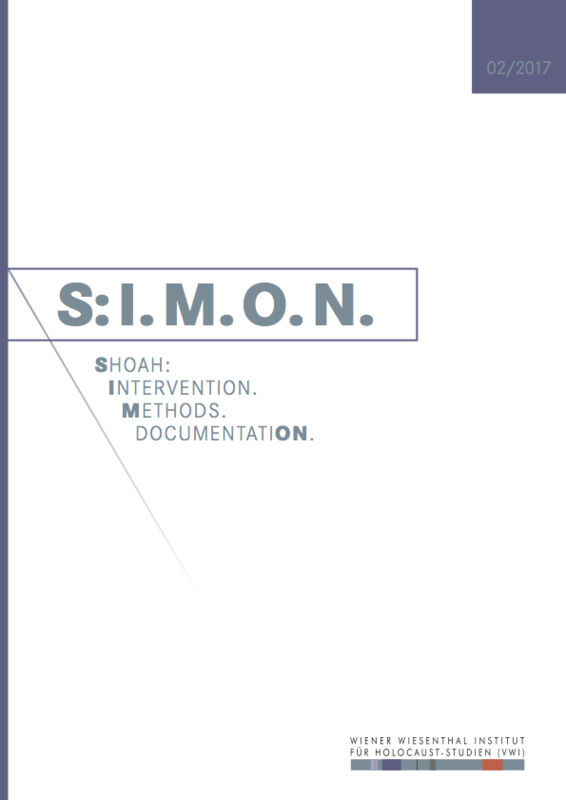 Shoah: The journal deals with the history of the Shoah from multidisciplinary, transnational and comparative perspectives. It seeks to integrate studies on Jews as well as on other groups of victims of the Holocaust, especially on Roma, and of so far less researched regions of (East) Central and (South) Eastern Europe. DocumentatiON. The journal contributes to critical approaches on using and interpreting archival materials in the 21st century. Download the current issue S:I.M.O.N. 2017/2. 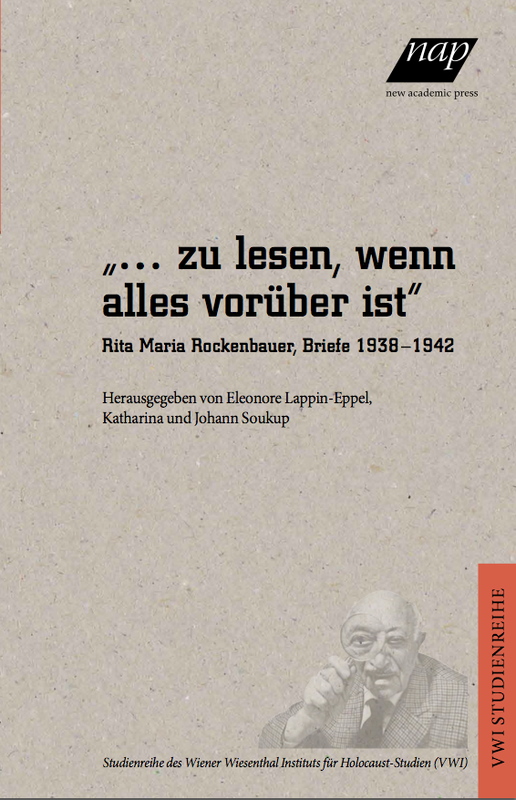 This contribution uses a case study in order to establish the fundamental theses for a research project on the mass media representation of migration in Vienna and Berlin during the interwar period. What knowledge about migratory movement and experiences was spread in the public spheres of both metropolises via the daily press? The institutionalised production and distribution of knowledge made the press a decisive contributor to what was socially accepted to express and visible, to the definition of topics and therefore the collective perception of social contrasts: the media did no merely reflect, but also produced social realities. 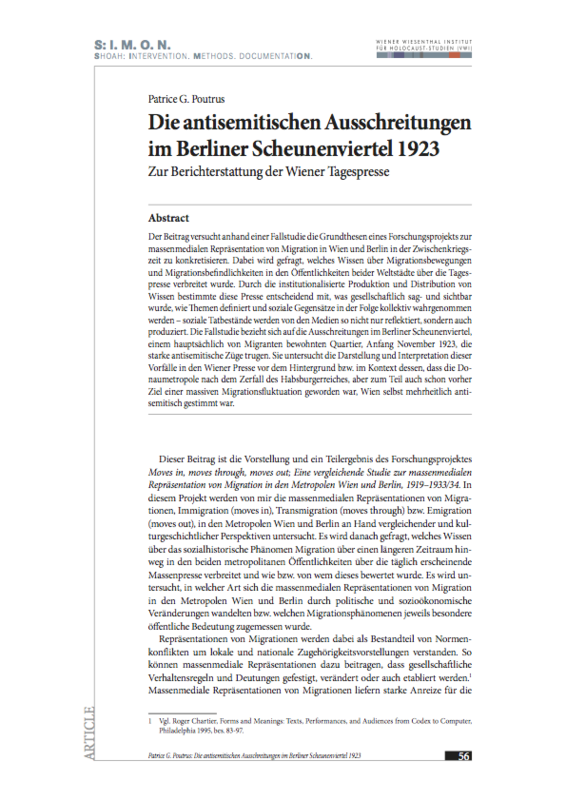 The case study refers to strongly antisemitic excesses in the Scheunenviertel in Berlin, a district that was largely inhabited by migrants, in early November 1923. It investigates the depiction and interpretation of these events in the Viennese press against a two-fold backdrop and context: the Danubian city's role as the destiny of a massive migration movement that had developed since the collapse of the Habsburg empire and partly even before, as well as Vienna's predominant antisemitism. 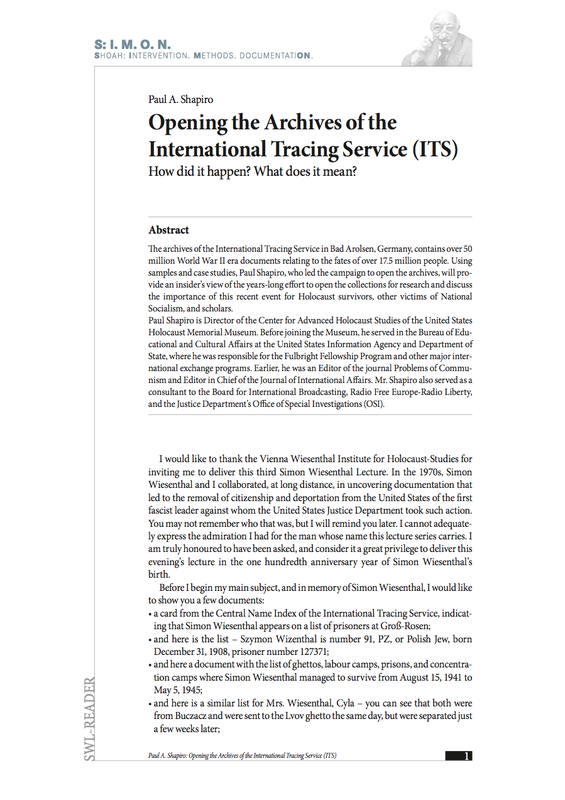 Opening the Archives of the International Tracing Service (ITS). How did it happen? What does it mean? Until the end of 2007, the International Tracing Service (ITS) was the largest collection of inaccessible records anywhere in the world that shed light on the fates of people from across Europe – Jews as well as members of virtually every other nation or nationality – who were arrested, deported, sent to concentration camps, and even murdered by the Nazis; who were put to forced labour, calculated in many places to result in death; and who were displaced from their homes and families, and unable to return home at the war’s end. These were documents that Allied forces collected as they liberated camps and forced labour sites across Europe in the last months of the war and during their post-war occupation and administration of Germany and Austria. The archives of the ITS in Bad Arolsen, Germany, contains over fifty million documents produced in the Second World War era relating to the fates and destinies of over 17.5 million people. 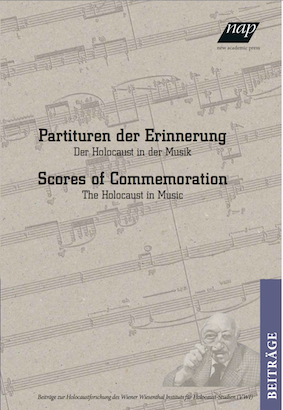 Using samples and case studies, the author, who led the campaign to open the archives, provides a view of the effort to open the collections for research and discuss the importance of this recent event for Holocaust survivors, victims of National Socialism, and scholars. During the clerical-fascist Slovak State, "Tóno" Brtko, a docile and poor carpenter, is offered the possibility to 'aryanise' the small Main Street sewing accessories shop of Rozália Lautmannová. Torn between his good-natured principles and his greedy wife Evelyna, he finally agrees to take over the shop by making the deaf and senile lady believe he is her nephew arriving to help her out. Yet he then discovers that the business is bankrupt, and Ms. Lautmannová is only relying on donations from the Jewish community. While letting his wife believe he is making money from the shop, he gradually becomes a supporter of the old lady. More and more, a cordial relationship between the two evolves. When the Slovak authorities finally decide to deport the Jewish population of the small town, Tóno, in a deep conflict with himself and his values, finally opts for hiding Ms. Lautmannová – a decision which turns into tragedy. Obchod na korze won the 'Oscar' for Best Foreign Language Film in 1966. 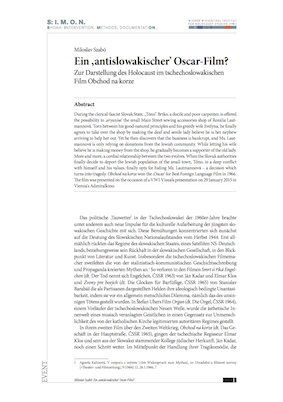 The film was presented on the occasion of a VWI-Visuals presentation on 29 January 2015 in Vienna's Admiralkino. 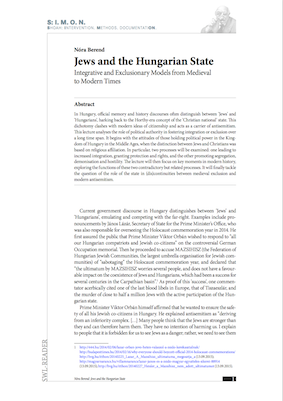 Download PDFIn Hungary, official memory and history discourses often distinguish between ‘Jews’ and ‘Hungarians’, harking back to the Horthy-era concept of the ‘Christian national’ state. This dichotomy clashes with modern ideas of citizenship and acts as a carrier of antisemitism. This lecture analyses the role of political authority in fostering integration or exclusion over a long time span. It begins with the attitudes of those holding political power in the Kingdom of Hungary in the Middle Ages, when the distinction between Jews and Christians was based on religious affiliation. In particular, two processes will be examined: one leading to increased integration, granting protection and rights, and the other promoting segregation, demonisation and hostility. The lecture will then focus on key moments in modern history, exploring the functions of these two contradictory but related processes. It will finally tackle the question of the role of the state in (dis)continuities between medieval exclusion and modern antisemitism.